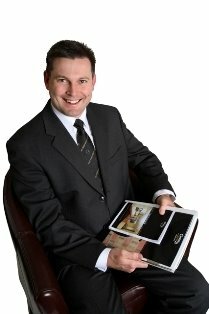 Gerard Baden-Clay operates at the forefront of long-overdue change in the business of real estate. Embracing superior standards of training and recruitment, he is driving a growing team of local experts motivated by the goal of “win-win” results for buyers and sellers. Gerard's personal philosophies of ethical excellence and team loyalty, derived from his lineage as the great-grandson of international Scouts founder Baden Powell, have found their perfect landing spot in the field of real estate. Gerard’s commitment to the local community is genuine and entrenched. In addition to his own family – wife Allison and three young daughters – much of the extended Baden-Clay family also lives within the 4069 postcode. Gerard is a keen supporter of the local Scouts and Guides chapter, contributes to the provision of a chaplaincy service at Kenmore State High School and for the third year has been reinstated as President of the Kenmore Chamber of Commerce, an organisation to which he devotes considerable time and resources in boosting membership and service levels. Hurry! First Homeowners get in quick! The swimming pool, covered entertaining area and 10,000 litre water tank are wonderful bonuses to this delightful, open-plan home. The verandah wraps around the front and side of the house giving distant views across this heavily treed suburb. Cross-breezes and elevation cool the house as nature intended, and the air-conditioned master bedroom promises sweet-dreams after soaking like Cleopatra in the sunken bath!